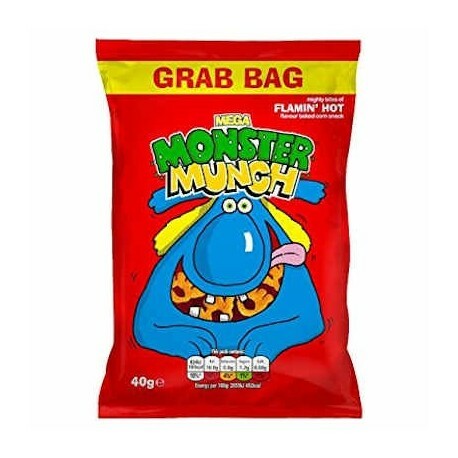 Walkers Monster Munch - huge chunks of flamin' hot flavour baked corn snacks. 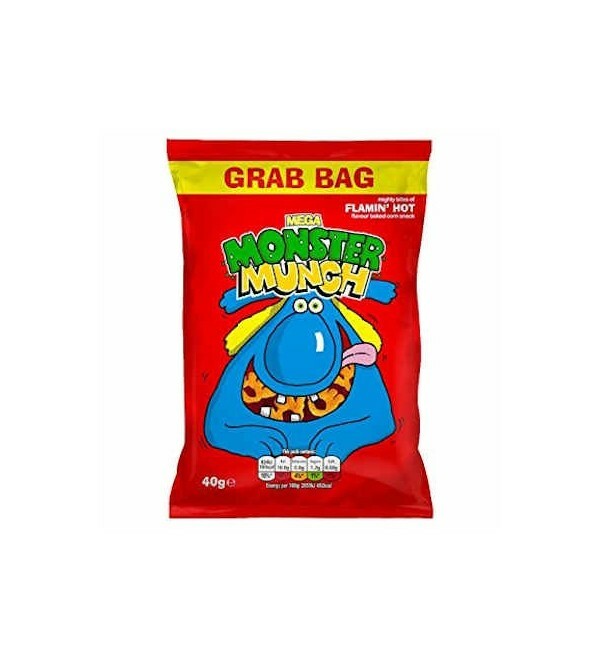 Walkers Monster Munch - huge chunks of flamin' hot flavour baked corn snacks. Suitable for vegetarians.